Among the prosperous farmers and stock raisers of Linn county, the record of whose lives fill an important place in this volume, it gives us pleasure to commemorate the name of this gentleman, whose home is on section 20, Franklin township. He was born in Westmoreland county, Pennsylvania, July 29, 1842, and is a son of Samuel and Sarah (Sager) Bair, the former also a native of Westmoreland county, Pennsylvania, the latter of Virginia. They were married in the Keystone state, where they continued to reside until the father's death, which occurred in 1858. Subsequently the mother came to Iowa, and after residing for a time in Clinton county, went to Crawford county, Iowa, where she died in 1895. Their family consisted of ten children, namely: Andrew married Jane Kelly and died in Denison, Crawford county, Iowa, March 6, 1887, while his widow now resides in Manitoba, Canada; Susan is a resident of Crawford county, this state; Samuel married Emma Hamilton and lives in Denison, Iowa; Sarah is the wife of James Bohart, of Canon City, Colorado; Joseph is next in order of birth; Rachel married Henry Bilheimer, of Clarksville, Butler county, Iowa, and both are now deceased; Lydia died at the age of fourteen years; Mary is the wife of M. Bohart, of Crawford county; Hannah is the wife of John Rolland, of the same county; and one died in infancy. During his boyhood and youth Joseph Bair attended the district schools during the winter months until sixteen years of age, and then commenced working as a farm hand at three dollars and a quarter per month. In October, 1862, he enlisted in Company H, One Hundred and Sixty-eight Pennsylvania Infantry - a conscript regiment - as a substitute for his brother, and went to Washington and from there to North Carolina, but when Lee invaded Pennsylvania, they were ordered back and participated in the battle of Gettysburg. When his term of enlistment expired Mr. Bair was discharged July 15, 1863, and returned home, where he worked until the following winter, when he came to Clinton county, Iowa, being employed on a farm there for six months. He then re-enlisted in Company F, Eleventh Iowa Volunteer Infantry, was mustered in at Davenport and joined his regiment at Marietta, Georgia, marching with Sherman to Savannah and remaining in his command until the close of the war. He participated in the grand review at Washington, D. C., and was mustered out of service at Louisville, Kentucky, being discharged at Davenport. Returning to Clinton county, he resumed the most quiet pursuit of farming. On the 26th of May, 1869, Mr. Bair was married in Duluth, Illinois, to Miss Mary E. Kelly, who was born in Clinton county, Iowa, August 19, 1852, and is a daughter of Adam and Elizabeth (Sager) Kelly. Her father was born in Westmoreland county, Pennsylvania, October 14, 1814, while her mother was born in Trumbull county, Ohio, August 25, 1816, and was the sister of our subject's mother. In their family were six children, namely: Robert, a resident of Clinton county, married Catherine Bilheimer, who died May 2, 1896, and in the spring of 1898 he married Elizabeth McHenry; Richard H., born in 1843, was killed in the battle of Iuka, Mississippi, during the Civil war, September 19, 1862; Albert M., deceased, wedded Mary Young, now a resident of Bellefontaine, Ohio; Samuel married Anna Smith and resides in Clinton county, Iowa; Mary E. is the wife of our subject and Mary M., the oldest of the family, died in infancy. The Bair family is of German descent, while the Kellys came originally from Ireland. Unto our subject and his wife have been born twelve children, as follows: Elsie E., born February 14, 1870, was married October 26, 1892, to James Milholin, a farmer of Franklin township, Linn county, and they have four children, Harry, Jay, Florence and Glenn, who did April 1, 1901. Ora Myrtle, born September 13, 1871, was married June 16, 1894, to Dr. Thomas Wolf, of Mt. Vernon. John Torrence, born December 8, 1873, was married June 30, 1897, to Clara B. Carson, by whom he has one son, Meredith, and they reside in Mt. Vernon. Frances Belle, born March 8, 1876. Robert Clifton, born October 9, 1877; Adam Kelly, born March 5, 1879; and Samuel Earl, born January 22, 1881, are all at home. May Elizabeth, born May 28, 1883, died January 12, 1890. Clara Verona, born December 4, 1885; Rollie Glenn, born February 12, 1887, and Bessie V., born May 16, 1889, are also at home. Hazel M., born September 14, 1893, died February 14, 1893. For two years after his marriage Mr. Bair engaged in farming upon a place belonging to his father-in-law in Center township, Clinton county, and then removed to another farm of Mr. Kelly's in Eden township, the same county, remaining there six years and making many improvements thereon. At the end of that time he returned to the old homestead in Center township, Mrs. Bair having been given this farm by her father. It consisted of one hundred and twenty acres, and our subject subsequently purchased eighty acres more, for which he paid eighty dollars per acre. To the further improvement and cultivation of that place he devoted his attention for ten years. On selling out in 1887, he came to Linn county and bought a farm of two hundred and fifty acres on sections 20 and 21, and has since purchased other land, having at one time three hundred and eight acres, but has since disposed of a portion of this, though he still retains two hundred and seventy acres. In 1896 he built a commodious residence in the Queen Anne style of architecture, and supplied with all the latest improvements and conveniences. He has also erected some large barns upon the place, and has one of the best improved farms in the locality. Mr. Bair is extensively engaged in the raising of stock, and handles more cattle than any other farmer in Franklin township. In his political affiliations he is a Republican, but he has never cared for official honors, though he has efficiently served as a school director for a number of years. Fraternally he is an honored member of W. C. Dimmick Post, No. 400, G. A. R., and Eureka Lodge, No. 45, Legion of Honor, both of Mt. Vernon. Source: The Biographical Record of Linn County Iowa, Illustrated, Chicago: The S. J. Clarke Publishing Company, 1901, pages 34-36. BARDWELL BROS., job printers, Marion; L. P. BARDWELL was born in Marion Oct. 7, 1842; he was engaged in the agricultural implement business from 1865 to 1872; engaged in his present business in 1872. Married Miss F. E. JEWETT in December, 1870; they have three children--Jennie A., Lizzie H. and Lucy M. Mrs. BARDWELL is a member of the M. E. Church. 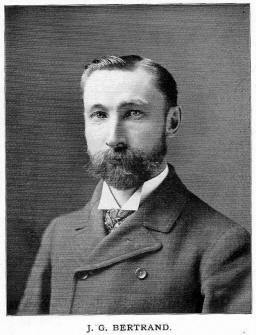 Leonard W. BARDWELL was born in Marion Nov. 15, 1846; commenced working at printers' trade in 1858. Enlisted, in 1863, in Co. F, 20th I. V. I. [Iowa Voluntary Infantry]; mustered out with the 29th I. V. I. in July 1865. The subject of this biography is a member of the well-known firm of Foy & Barger, who are now doing a successful real estate, loan and abstract business in Cedar Rapids, their office being at 116 Second street. Mr. Barger was born in that city, his parents being William G. and Mary A. Barger, honored pioneers of Cedar Rapids. The father, who is a native of New York, came west in 1850, and located in Cedar Rapids, where he has since made his home. He has followed the occupation of a stationary engineer and a locomotive engineer for the Northwestern Railroad Company for a number of years, but during the latter part of his active life he devoted his attention to the dairy business, which he sold to our subject in 1890, and has since lived retired. His home is at 616 South Tenth street, Cedar Rapids. The mother of our subject died in 1890, and was buried in Cedar Rapids. In the family were four children, namely: George, who died at the age of nine years; one who died in infancy unnamed; John, our subject, and Mary, wife of Arthur J. Hickey, who is engaged in the dry-goods business in New York city, and by whom she has two children, Bertha and an infant. John Barger has always been a resident of Cedar Rapids, and is indebted to the city schools for his early educational advantages. After leaving the public schools he attended the night sessions of the Cedar Rapids Business College, while during the day he devoted his time to farming and to the dairy business. When his father wished to retire from active labor, he purchased the business and continued to carry it on for eight years. He then became interested in the real estate, loan and abstract business at his present location, associating himself with Charles H. Foy, his present partner. They do a general business in their line and deal largely in city property. Wide-awake, energetic and progressive, they are meeting with well-deserved success. On the 30th of October, 1890, Mr. Barger was married in Cedar Rapids, to Miss Anna Sampson. She was born in Ireland and was five year of age when she came to the United States. Her father, William Sampson, was a native of England and served eighteen years in the English navy. He came to America in 1873, and died in Cedar Rapids at the age of eighty-four years. His widow is of Scotch descent, and is now residing with our subject at the age of seventy-four years. Four children were born to Mr. and Mrs. Barger, namely: David Gordon; one who died in infancy unnamed; Ralph Everett; and Harris Clough. 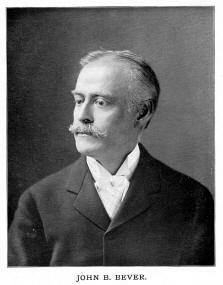 Mr. Barger is an active member of the Ancient Order of the Red Cross, which he organized in January, 1899. It is a fraternal and insurance order, both life and accident insurance, and already takes rank among the old and reliable societies of that character. Socially he is quite popular, and those who knew him best are numbered among his warmest friends. Source: Biographical Record of Linn County, Iowa. Chicago: The S. J. Clarke Publishing Company, 1901. p.877-878. William G. Barger, of Cedar Rapids, is now living a retired life in the enjoyment of a rest which he has truly earned and richly deserves by reason of his industrious efforts of former years. He is now one of the highly respected citizens of Cedar Rapids, and his long residence in Linn county and the active part he has taken in its development well entitles him to representation in its history. Mr. Barger was born in Putnam county, New York, September 17, 1834, a son of David J. and Susan (Tompkins) Barger, both of whom were natives of the same county and representatives of pioneer families of that locality. There our subject’s paternal grandfather, John Barger, spent his entire life and died at about the age of ninety years. The maternal grandfather, Ananias Tompkins, was also a native of Putnam county. In the county of his nativity William G. Barger grew to manhood, and as his school privileges were meager, he is almost wholly self-educated since reaching mature years. On leaving home he went to Poughkeepsie, where he went to learn his trade in a sash, blind and door manufactory, and engine manufactory, for about two years, and in 1855 came west to Chicago. In May of that year he became a resident of Cedar Rapids where he worked one season for H. L. Bryan, a gardener and dairyman. The winter of 1855-56 was very severe, it being extremely cold and snow covering the ground to a depth of two feet on the level. In the spring of 1856 Mr. Barger accepted a position as stationary engineer, to which occupation he devoted his attention for five or six years, and later was engineer in a sash factory for two years. He was next in the employ of the Chicago, Iowa & Nebraska Railroad in various capacities for two years, and for the same length of time he engaged in clerking for H. L. Bryan on Second avenue. In 1866 he embarked in the dairy business in a small way in the central part of the city, and later extended his business to meet the growing demands of his trade, keeping about forty cows and furnishing milk to a large number of families. In the meantime he bought the property where he now resides. He continued to successfully engage in the dairy business until 1890, when he sold out and has since practically lived retired, though he continues to look after his property interests. He bought a fine farm of one hundred and seventy acres three miles from the city, where he kept his stock and where he also engaged in farming. Mr. Barger is also extensively interested in city real estate, and has owned about twenty buildings in Cedar Rapids, including fifteen residences which he himself erected. The property where he now lives consisted, when he bought it, of an undivided half of out-lots 18, 19 and 22. When is was divided he had about twelve acres fronting on South Tenth street, and also on Fifth avenue. This he subdivided and sold, retaining, however, all of out-lot 19, or six and a half acres, the largest out-lot in Cedar Rapids. In the spring of 1859 Mr. Barger was married, in Cedar Rapids, to Miss Mary Swab, a sister of Charles H. Swab, a hardware merchant of this city. She died in June, 1890, leaving two children: John, a real-estate dealer of Cedar Rapids; and Mary, wife of A.J. Hickey, of Brooklyn, New York. Mr. Barger was again married in Cedar Rapids, February 9, 1892, his second union being with Eleanora, daughter of William Reed, who was born and reared in Fayette, Iowa. By her former marriage, she has one child, Clara Edna Cavanaugh, and by her present marriage she also has a daughter, Georgia Eleanora. Politically Mr. Barger was formerly a Jacksonian Democrat and cast his first presidential vote for James Buchanan, but in 1860 he voted for Abraham Lincoln, and continued to support the Republican party for some years, but for some years independent of party lines. He began life in Cedar Rapids with a capital of only fourteen dollars, and his wonderful success is due to his own energy, good business ability and sound judgement. He is a worthy representative of our best type of American civilization and well merits the prosperity that has come to him. Source: The Biographical Record of Linn County Iowa, Illustrated, Chicago: The S. J. Clarke Publishing Company, 1901, pages 108-113. For almost a third of a century this gentleman has been a resident of Linn county, and is to-day numbered among the highly esteemed citizens of Marion, his home being on Sixth avenue. He is engaged in the insurance business and in fruit culture, but gives considerable attention to his duties of his office as justice of the peace. Mr. Barnhill was born near old Fort Findlay in Hancock county, Ohio, October 18, 1846, and is a son of Robert and Mary A. (Keel) Barnhill, both natives of Pennsylvania, the former born near Harrisburg, the latter near Allegheny City. When a small boy the father accompanied his parents on their removal to Wayne county, Ohio, and later became one of the pioneers of Hancock county, where he owned and operated a farm, making it his home until called to his final rest in 1890, at the age of eighty-three years. His wife died in 1896, at the age of eighty-six years. Both were members of the Christian Union church, and were highly respected by all knew them. Joseph Barnhill is the seventh in order of birth in a family of nine children, seven of whom are still living. He acquired his education in the common schools of his native state, and when not in school worked on the home farm. On leaving the parental roof at the age of sixteen years he went to Oregon with Hiram Smith, the latter, however, going by the overland route with horses in his charge to be sold, while our subject went by the way of New York, across the isthmus of Panama, and up the coast to San Francisco. Mr. Barnhill spent three years in Oregon as foreman in charge of the horses on a large ranch of sixteen hundred acres on the Columbia river. Financially his trip was a success, and he thoroughly enjoyed his experience in the far west. Returning to his Ohio home at the end of three years he resumed farming. On the 28th of September, 1868, Mr. Barnhill married Miss. 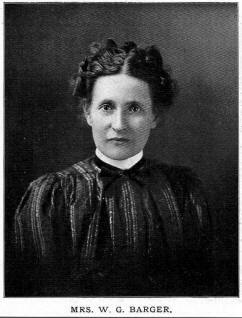 Sarah E. Loy, a native of Morrow county, Ohio, and a daughter of George Loy. Five children blessed this union, namely: Eva Nellie, born August 2, 1869, died from the effects of measles February 16, 1887. Sylvia M., born in 1871, married Burt S. Bailey and died June 25, 1899, leaving one child, Morrell. Wilfred L., born in 1874, died in December, 1894, in New Mexico, where he had gone with the hope of benefiting his health. Harold died May 15, 1899, at the age of eighteen years just fifteen days after his return from Florida, where he had spent the winter. Margaret, a graduate of the Marion high school, is at home. In 1869 Mr. Barnhill came to Linn county, Iowa, and first located on a farm near Marion, where he engaged in agricultural pursuits for three years. He was next engaged in the mercantile business in Palo until 1887, and at the same time served as postmaster of that place for eleven years. In the fall of 1887 he was elected county treasurer of Linn county, and so acceptably did he fill the office that he was re-elected, serving until January, 1892. Subsequently he was engaged in the grocery business of Marion for a short time, and on disposing of his store bought a small farm of twenty acres on the boulevard in Marion, where he has quite a beautiful home near the bridge. Here he has engaged principally in raising fruit, and at present also gives some attention to the fire insurance business. He has now entered upon his third term as justice of the peace, the duties of which position he has most capable and satisfactorily performed. He is a man of high standing in community and is widely and favorably known throughout the county. With his wife and daughter he holds membership in the Methodist Episcopal church, with which he was officially connected until recently, and he is also a member of the blue lodge, No. 6, A. F. & A. M., and Mariola Lodge, No. 8, K. P., and the Uniformed Rank of the latter order. He is past chancellor and a trustee of the Knights of Pythias lodge. In politics he is an ardent Republican. Source: The Biographical Record of Linn County Iowa, Illustrated, Chicago: The S. J. Clarke Publishing Company, 1901, pages 106-7. For fifty-six years James Monroe Bartleson has been identified with the business interests of Linn county and is today prominently identified with the mercantile interests of Center Point A native of Pennsylvania, he was born in Philadelphia, December 31, 1835, his parents being Elijah and Hester Bartleson, both of whom were born in the vicinity of Philadelphia. From their native state they removed to Berkeley county, Virginia, in 1836. when our subject was only a year old, and there the father engaged in business as an architect and carpenter, becoming one of the leading builders of his locality. During the cholera epidemic of 1853 he died of that dread disease, and the mother of our subject passed away in 1850. Thus at the age of eighteen years James M. Bartleson was left an orphan and following his father’s death bound himself out as an apprentice to the carpenter’s trade for a term of three years, to receive only his board and clothes in compensation for his labor. He worked but one year, however, for on going to spend Sunday with an uncle and returning a little too late on Monday morning his employer became angry and they severed their connections at once. Mr. Bartleson then secured a position at a dollar and a half per day and after working at his trade for two months managed to save thirty-nine dollars. With this amount in his pocket he started for Iowa, reaching Wapello in November, 1854. On leaving his old home in Virginia the weather was warm and sunshiny but on landing in Iowa he found snowy winter weather. Having on canvas shoes he was compelled to spend his last two dollars and a half for a pair of boots. He stopped at a hotel in Wapello and with his gun killed an abundance of game to supply the needs of the hotel, and the proprietor charged him nothing for his accommodations that winter. In the spring he secured a contract to build a house and after this was finished he and three other carpenters formed a copartnership and engaged in building and contracting for some time, as there was much building to be done in those early days. In November, 1855, Mr. Bartleson came to Marion, Linn county, and two weeks later settled at Center Point, where he had a brother-in-law and his parents living. Here he spent the following winter, during which time he took an ox team belonging to his brother-in-law’s father, Samuel Mentzer, and hauled logs to a mill, where they were sawed into lumber. He then purchased a lot in Center Point for twenty-five dollars and on it erected a house, which he sold for eight hundred dollars, taking the man’s note instead of a mortgage for the property. Shortly after selling, however, the purchaser went to Cedar Rapids, where he mortgaged the house for one thousand dollars and left the country. leaving Mr. Bartleson without recourse. For a time he continued to work at the carpenters trade, but later accepted a position in the store of John Carr, whose daughter, Miss Amanda Carr, he married on the 11th of November, 1858. During the Civil war he and his father-in-law operated the stage line from Cedar Rapids to Waterloo under contract from the government for four years and following the expiration of this contract secured another for the same length of time. Mr. Carr then asked Mr. Bartleson whether he wanted the mercantile business in Center Point or the stage route, and our subject chose the former, which he conducted for about twenty years, when he went to Marion, accepting the position of assistant manager of the Marion branch of the implement business of E. B. Alderman & Son, with whom he was connected for six years. In March, 1887, he returned to Center Point and established himself in the implement business at his present location. In 1898 he also embarked in the general mercantile business and still conducts both stores, having built up an excellent trade along those lines. He is a wide-awake and progressive business man and the success that has come to him is but the merited reward of industry, perseverance and good management. In addition to his business interests he is also a stockholder in the Linn County Savings Bank of Center Point. Mr. Bartleson has been called upon to mourn the loss of his wife, who passed away in April, 1902. Unto them were born three children, namely: Ida, now the wife of William H. La Vell, who is manager of her father‘s mercantile business at Center Point; Emma, the wife of A. E. Dunbar, a general merchant of the same place; and John, deceased. Mr. Bartleson is now serving as secretary of Vienna Lodge, No. 142, A. F. & A. M., of Center Point, and is also a member of Center Point Chapter, No. 390, 0. B. S. His political support is given the democratic party and his fellow citizens, recognizing his worth and ability, have called upon him to serve as township clerk for six years and as town and city clerk for the same length of time. He is a progressive and public-spirited citizen, who takes a commendable interest in public affairs and never withholds his support from any enterprise which he believes will advance the moral or material welfare of his community. Source: History of Linn County Iowa, From Its Earliest Settlement to the Present Time, Vol. II, Chicago, The Pioneer Publishing Company, 1911, p. 723-4. The farming interests of Fayette township find a worthy representative in Joseph J. Beatty, who is a native of Iowa, his birth occurring in Benton county, on the 5th of October, 1879. His parents, Charles and Catherine (Wheelan) Beatty, were both natives of Ireland. The father came to this country with his parents at an early day and the mother was a young woman when she crossed the Atlantic, both becoming residents of Benton county, Iowa, where their marriage was celebrated and where they continued to reside up to the time of their death. The mother passed away December 1, 1904, and the father died in May, 1907. During his residence here he had steadily prospered until he became the owner of four hundred acres of very valuable land in Benton county and two hundred acres in Fayette township, Linn county. In politics be was a democrat and was honored with several local offices, having served as township trustee for a number of years. During his boyhood and youth Joseph I. Beatty remained at home with his parents, pursuing his education in the public schools and acquiring an excellent knowledge of all the duties which fall to the lot of the agriculturist. In March, 1906, he married Miss Margaret Gasser, of Benton county, and they have become the parents of one child, Archibald C.
After his marriage Mr. Beatty located or. his present farm in Fayette township, consisting of two hundred acres, which came into his possession on his father’s death. He has since erected new buildings upon the place and improved it in such a manner that today it is one of the best farms of its size in his section of the county. In his farming operations he has been remarkably successful, for he is industrious, energetic and progressive, and in addition to his home place he now owns an eighty-acre tract cornering on his farm, so that he now has two hundred and eighty acres of very valuable land. His political support is given the democratic party but he has never taken a very active part in public affairs aside from voting. His wife holds membership in the Lutheran church and they have a large circle of friends and acquaintances throughout the community. Source: History of Linn County Iowa, From Its Earliest Settlement to the Present Time, Vol. II, Chicago, The Pioneer Publishing Company, 1911, p. 725. Among the business enterprises which are contributing to the commercial activity and growth of Ely is numbered that of which Joseph Becicka is the owner. He has for some years been well known here as a dealer in lumber, shingles, lath, sash and doors and enjoys a large trade which extends over the southern portion of Linn county and the northern portion of Johnson county The name indicates his Bohemian lineage, he was horn at Horky, Bohemia, December 22, 1867, and is the second son of John and Anna (Elias) Becicka. The father, who was born in 3828. was a merchant in his native country. The mother was born in 1834. They were reared, educated and married in Bohemia and in 1885 crossed the Atlantic to the new world settling near Ely in Linn county, Iowa. For a considerable period the father buoyed farming in College township and through his untiring industry. intelligently directed, he acquired a comfortable competence that new enables him to In retired, and both he and his wife still make their home in Cedar Rapids. They have a son Samuel, who is a fresco painter and decorator of that city. Their t daughters are Mrs. Dostal, Mrs. Joseph Bulicek and Mrs. Godfrey Kun. all residents of Cedar Rapids. Joseph Becicka, whose name introduces this record, pursued his education in the schools of his native country and also spent one term as a pupil in the public schools of College township. He came with his parents to the United States when seventeen years of age and after putting aside his text-books he began earning his living by working as a farm hand. Ambitious and energetic, he saved his money until his economy and careful expenditure enabled him in 1892 to establish a lumber business at Ely with John Filipi, where he has since been closely associated with trade interests. He has been quite successful in the intervening period of eighteen years and now has a profitable and growing business, his trade extending largely over the southern portion of Linn county and the northern portion of Johnson county. He is ever found reliable in his dealings, and. his business integrity is never questioned. In June, 1893, Mr. Becicka was married to Miss Mary Zvacek. a daughter of Frank and Mary (Filipi) Zvacek. who were pioneer settlers of College township, where they became successful fanning people. They too were natives of Bohemia and in their youth came to America. Since is 1865 they have lived in Linn county, arriving here before the railroads were built. Mr. Zvacek settled upon a forty-acre tract of rough timber land on section 33, Putnam township, and at once cleared away the trees and developed his fields. He continued to improve the property for some time, when he sold it and purchased eighty acres in what is now College township. Prospering as the years went by, he added to his property from time to time until on his retirement he had two hundred and eighty acres of highly improved land and twenty-five acres of timber land. He first made his home in Wisconsin and from that state drove across the country to Cedar county with a yoke of oxen. The original home of the family was a log cabin, in which some of the children were born. After carrying on general agricultural pursuits for a long period Mr. Zvacek retired to private life and is now Living in Ely in the enjoyment of a well earned rest. The father was born in 1844 and the mother in 1852. The children of Mr. and Mrs. Zvacek are: Mrs. Fanny Stanek; Emma, the wife of John Zezula; Agnes, the wife of George Chadinea; Lillie and Libbie, at home; Charles, in Cedar Rapids; and Frank, who follows farming. Unto Mr. and Mrs. Becicka have been born two children: Mary, who was born July 8, 1894, and Joseph, born September 1, 1895, both having been educated in the schools of Ely. The parents are members of the Bohemian Reformed church and Mr. Becicka belongs to Ely Lodge, No. 581, I. 0. 0. F., and Ely Lodge, No. 325, A. 0. U. W. He is independent in his political views, supporting the men and measures whom he regards as best qualified for office without considering party affiliation. For a quarter of a century he has been a resident of Linn county and, improving his opportunities throughout that entire period, has steadily worked his way upward, winning success which is the merited reward of his earnest labor and close application. Martin Beck, of the firm of Beck & Son, manufacturers of all kinds of business wagons, wagonettes, carriages and omnibuses, at Cedar Rapids, with also a department for the manufacture of automobiles, was born in Stein Buckenheim, the province of Hesse-Darmstadt, Germany, on Christmas day, 1842, and is a son of Chris Beck, who spent his entire life there and was engaged in business for himself as a blacksmith. Our subject is the youngest in a family of six sons, of whom only two are now living, the other being Mark, a well-to-do resident of Albion, Noble county, Indiana. During his boyhood Martin Beck attended the schools of his native land, and on completing his education learned the blacksmith’s trade with his father. Later he traveled over the country working as a journeyman, and in 1860 at the age of eighteen came to the United States, taking passage on a sailing vessel at London, and landing in New York after forty-six days spent upon the water. He remained with his brother William in the latter city for a time and worked at his trade, at the same time learning to speak a little English. He then went to Janesville, Wisconsin, where he worked as a blacksmith for one firm for nearly ten years, and in 1870 removed to Broadhead, that state, where he was engaged in business in partnership with John Laube. Subsequently he was alone in business at that place, manufacturing hearses, wagonettes and delivery wagons, having there an extensive business till 1891, when he came to Cedar Rapids, Iowa, and embarked in business at this place in partnership with his son, Martin P., under the firm name of Martin Beck & Son. They started in a modest way, but have gradually increased their facilities to meet the growing demands of their trade, and now employ eighteen to twenty men, in the various departments of their manufactory. On coming to Cedar Rapids, they built a fine three-story brick building, 72x140 feet, on the corner of First avenue and Ninth street, west, the building being particularly designed for their business. On the ground floor is the blacksmith and wood work departments, together with the offices. On the second floor is the paint shop and trimming rooms, while the third floor is occupied as a store room. In addition to their manufacturing business they give special attention to repainting and trimming, and they now practically have the only shop in this section of the state. Since the introduction of the automobile, they are working into the manufacture of that vehicle, and will manufacture a high grade of work. In 1864 Mr. Beck was married at Watertown, Wisconsin, to Miss Augusta Rhoda, and to them were born three children: Emma, who married William Rogers, of Cedar Rapids, and died in 1898; Martin P., who is now in business with his father; and William, who died at the age of eight years. The mother of these children died, and in 1882 Mr. Beck married Hettie Cortelo. He was again married, in 1898, his third wife being Mrs. Ellen Gleason, of Broadhead, Wisconsin. Mr. Beck was reared in the German Lutheran church. In 1872 he was made a Mason at Broadhead, Wisconsin, and now belongs to Crescent Lodge, No. 25, F. & A. M. He is also a prominent member of the Germania Club and for the past two years has served as its president. On national issues he always support the Democratic party, but at local elections votes for the man whom he believes best fitted for the office regardless of party lines. He is an upright, reliable business man, whose success in life is due entirely to his own well-directed efforts, for he came to this country empty-handed and by his industry and economy has acquired a comfortable competence and a prominent position in the business world. Source: The Biographical Record of Linn County Iowa, Illustrated, Chicago: The S. J. Clarke Publishing Company, 1901, pages 101-2. Mr. Beebe is a local minister of the Methodist Episcopal church, and also the owner of a very beautiful farm in Fairfax township, Linn county, where he is widely known and highly respected throughout the entire district. A native of the state of Wisconsin, he at an early age took up his residence in Iowa, where he has made an unlimited number of friends for himself. His father, H. P. Beebe, is now engaged in farming in Richland county, Wisconsin, where he lives with his wife, Emma (Good) Beebe, whose father, Richard Good, born in England in 1796, came to this country in 1816, at the age of twenty years, and lived to the extreme old age of one hundred and one years, dying September 3, 1897 while his brother lived to the age of one hundred and six years. Mr. Good married Sarah Adams March 1, 1822, and to this marriage were born eleven children: Susan and Jane, twins; Charles, Mary, Benjamin, Betsey, Rebecca, Marguerite, Richard, Thomas and Emma. Mr. Beebe, our subject's father, was the third of nine children born to his parents that grew to maturity, the others being Benton, Wilder, Nathan, Harriet, Mary, Sarah Ann, Eliza and Maria. This worthy couple were among the early settlers of Vermont, the father, although born in England, having settled there at a very early day. Mr. Beebe received a good education in Richland county, Wisconsin, where his childhood was spent. Our subject is the oldest of a family of nine children. His brother Perry, who is engaged in farming in Wisconsin, married Everetta Bigsby; Oscar, another brother, lives on a farm in Fairfax township with his wife, Myrtle (Cleveland) Beebe; Ada became the wife of Lewis Powers, and together they reside upon a farm in Wisconsin; another brother, Charles, married Dove Hubanks, and they are also engaged in farming in Wisconsin; Eva died April 1, 1856, when but seventeen years of age; Sarah married Charles Garner, who is a well-to-do farmer in Wisconsin; Charles Owens, one of Wisconsin's agriculturists became the husband of Mary; Lizzie also married an agriculturist, Edward Dobbs, and is a resident of Wisconsin; and the youngest sister, Jane, married Prett Hubanks, another of Wisconsin's thrifty farmers. When our subject finished school he engaged in farming with his father until he reached the age of nineteen years, when he moved westward to Linn county. Here he spent a short time in the employ of a railroad company, and then for five years was employed by the month on a farm. At the expiration of this time Mr. Beebe rented a farm of two hundred and forty acres, and one year afterward, July 3, 1877, married Clara McDowell, daughter of Godfrey and Keziah (Burkholder) McDowell, and the oldest of four children: Allen, her brother, died in infancy; Anna, a sister became the wife of George McKinnon, a farmer of Hartford township; and Addie was married to George Rider, a farmer residing in Greene county, Iowa. At the end of one year after his marriage, having rented his farm until that time, he purchased one hundred and twenty acres of it, and having erected a beautiful residence upon it has ever since made it his home. During the winter months Mr. Beebe is engaged in evangelistic work, in which he has been very successful. Along the lines of temperance and church work Mr. Beebe is ever a liberal supporter, and the Prohibition ticket always receives his vote, but he has no desire for political offices, his private business requiring his constant attention. Five children have been born to Mr. and Mrs. Beebe: Adison Claire is now engaged with the Lefebure Ledger Company, of Cedar Rapids; Eva Bertha, Godfrey Hiram, Emma Keziah and James Leghorn being at home with their parents, Bertha graduating from the high school in June, 1899. Source: Biographical Record of Linn County, Iowa. Chicago: The S. J. Clarke Publishing Company, 1901. p. 827-828. One of the active and enterprising business men of Cedar Rapids is Nathaniel K. Beechley, who is now engaged in the real estate and insurance business. He is a native of Linn county, born in Linn township August 3, 1855, and is a worthy representative of one of its prominent pioneer families. His father, Jesse Beechley, was born in Somerset county, Pennsylvania, in 1822, and came to this county in 1852. He purchased four hundred acres of land in Linn township for which he paid eight dollars per acre, and still retains the same. It is now well improved and under a high state of cultivation. The father of our subject has been thrice married, his first wife being Miss Harriet F. Craig, who was born near Tiffin, Ohio, in 1833, and it was in 1838 that she was brought to Linn county, Iowa, by her parents, Thomas and Margaret Craig, who were among the honored pioneers of Franklin township, where they spent the remainder of their lives. Her father died in 1860. He had a large family, of whom only three are now living, these being John, a resident of Shasta county, California; Mrs. S. Ellison and Mrs. D.L. Boyd, both of Mt. Vernon, this county. Mrs. Beechley died in 1861 while visiting in Somerset county, Pennsylvania, leaving three children, namely: Nathaniel K., the subject of this sketch; Thomas C., who lives on the old homestead; and Margaret J., wife of A.A. Palmer of Cedar Rapids. For his second wife the father married Delia Holcomb, by whom he had one son, Jesse H., also on the home farm. She died in 1889. In 1891 he married for his third wife Mrs. Louisa C. Goudy, who is still living. By his ballot the father supports the men and measures of the Republican party; has always been an active party worker, and has capably filled a number of minor offices in his township. He is a faithful member of the Dunkard church, and is highly respected and esteemed by all who know him. Mr. Beechley, whose name introduces this sketch, was educated at Cornell College, Mt. Vernon, where he pursued a classical course and was graduated in 1876. After leaving college he came to Cedar Rapids and entered the City National Bank, where he was employed as clerk and teller for ten years. 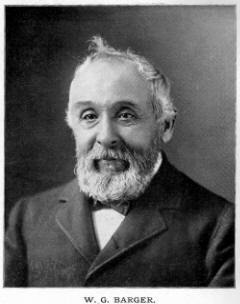 In 1887 he opened an abstract office, having purchased a set of books, and was engaged in that business until 1899, when he sold out and turned his attention to the insurance and real estate business, writing fire insurance and representing some of the most reliable companies of the country. In 1879 Mr. Beechley married Miss Mary B. Woods, who was born in Jackson county, Iowa, August 17, 1855. It was in 1844 that her father removed from Bath, New Hampshire, to Bellevue, Jackson county, and in 1889 came to Cedar Rapids, where he made his home until called to his final rest in August 1900. His wife, who bore the maiden name of Lorette Woods, died in 1897. She was a native of St. Johnsbury, Vermont. In their family were only two children, of whom Mrs. Beechley is the older. Her brother, Frank A., is now engaged in business in Des Moines. Our subject and his wife have one daughter, Lorette Jessie, who was born July 27, 1880, and took a classical course at Coe College, Cedar Rapids, where she graduated in 1900. She is now a student at Bryn Mawr College of Philadelphia, Pennsylvania, pursuing a post graduate course. As a Republican Mr. Beechley takes an active interest in political affairs, and has been a delegate to county and state conventions of his party, but has never been an office seeker. Fraternally he affiliates with Crescent Lodge, A.F. & A.M. He is on e of the leading members of the First Presbyterian church, and is assistant treasurer of Coe College. For a quarter of a century he has been identified with the business interests of Cedar Rapids, and his life has ever been such as to win for him the confidence and high regard of those with whom he has been brought in contact. Source: The Biographical Record of Linn County Iowa, Illustrated, Chicago: The S. J. Clarke Publishing Company, 1901, pages 71-2. That woman is not lacking in any of the qualities essential to the attainment of success in commercial lines is being again and again demonstrated in towns and cities where ladies are controlling growing and important mercantile interests. Among this number in Cedar Rapids is Mrs. L. M. Bennett, who is carrying on a corset shop in which she has a large, growing and gratifying patronage. She is a lady of excellent business ability and executive force, watchful of all opportunities pointing to success, and at all times guiding her interests in accordance with the rules which govern commercial integrity. She was born in Poweshiek county, Iowa, on the 13th of May, 1877, and is a daughter of William F. and Sarah (Shifflett) Frearer, the former a native of Somerset county, Pennsylvania, and the latter of Virginia. They came to Iowa in the early '60's and settled in Poweshiek county upon a farm where Mr. Frearer for many years devoted his attention to general agricultural pursuits, bringing his fields under a high state of cultivation and adding many improvements to his place. He died in December, 1907, but Mrs. Frearer is still living. Mrs. Bennett was one of a family of nine children and spent her girlhood days like the other daughters of the household, acquiring her education in the public schools and assisting in the work consequent upon the care of the home. In 1907 she came to Cedar Rapids and for three years has been a factor in the commercial interests of this city, establishing a corset parlor at No. 501 First avenue, East. She has since conducted a good business for her thorough understanding of trade and the needs and wants of her patrons prompts her to carry the best that the market affords, as well as the more moderate priced goods. Her business qualifications are recognized by all who have dealings with her and her success is a matter of gratification to her many friends. Throughout his active business life this gentleman has been identified with the farming and stock raising interests of Bertram township, and is accounted one of its most thorough and skillful agriculturists. He was born in that township on the 22nd of June, 1863, and is a son of Robert Berry, whose sketch appears elsewhere in this work. His early education was obtained in the district schools near his boyhood home, and later he attended the business college at Cedar Rapids completing his education at the age of twenty years. During the following year he assisted his father in the work of the home farm, and on attaining his majority started out in life for himself with an excellent knowledge of the occupation which he has chosen as a life work. On the 30th of October 1884, Mr. Berry was married in Bertram township, to Miss Ella M. Hunter, who was born in that township, December 12, 1862, a daughter of James and Ellen (Flaherty), both natives of Ireland. The father was born September 16, 1818, and was sixteen years of age when he came to the new world. His life has been devoted chiefly to agriculture, but for ten years he was engaged in milling. From Philadelphia he went to Galena, Illinois, and in March, 1838, came to Linn county, Iowa, squatting on government land in Bertram township. When the land came into market he purchased one hundred and sixty acres, and as he prospered in his farming operations here he added to his property until he owned six hundred and sixty acres. He erected a steam mill in Putnam township and operated it for ten years in connection with farming. He has been three times married, his first wife being Mary Rodgers, by whom he had six children: William G., Sarah A., Mary E., Janes, Minerva J. and Emma R., all of whom are now deceased with exception of Sarah A. and Emma R. The mother of these children died in November, 1855, and he subsequently married Caroline Hollis, who died eighteen months later. His third wife was Ellen Flaherty, the mother of Mrs. Berry, and to them were born eleven children: John W., Ella M., Mary, Charles, James, Johanna, Jesse Franklin, John, Thomas G., Mortimer M. and Julia E. Of these John and Charles are deceased. The father is a supporter of the Democratic party, and is a man highly respected and esteemed by all who know him. Mr. and Mrs. Berry had three children: Alfred R., born August 14, 1885, is taking a philosophical course at Cornell College, Mt. Vernon, and will graduate in 1905; Grace E., born May 30, 1889, is attending the grammar school of Mt. Vernon; and one died in infancy. After his marriage Mr. Berry rented his father-in-law's farm for a year, and then removed to the farm which he now occupies. Here he has three hundred and fifty acres on section 11, Bertram township, which is under a high state of cultivation and improved with excellent buildings, including one of the best farm residences in this part of the state, it being an elegant two-story brick structure with all modern improvements. Upon the place are also large barns, cattle sheds and other buildings. Besides this valuable property he owns a handsome residence in Mt. Vernon, where he lives during the school year that his children might have the best educational advantages that the state affords. He spends the summer upon his farm, and is successfully engaged in both farming and stock raising. Politically he is an ardent Republican, but has always refused to become a candidate for office, preferring to devote his undivided attention to his business interests. Socially he is a member of the Odd Fellows Lodge, No. 534, of Bertram, and he attends the Presbyterian church of Mt. Vernon, of which he is one of the trustees. He is a man of prominence in his community and is highly respected wherever known. >Source: Biographical Record of Linn County, Iowa. Chicago: The S. J. Clarke Publishing Company, 1901. p. 881-882. The agricultural interests of Bertram township are well represented by this gentleman whose home is on section 28. A native of this county, he was born in Bertram township, February 27, 1859, and is a son of Robert Berry, whose sketch appears elsewhere in this work. During the first twenty years of his life our subject attended the country schools and aided in the work of the farm. On the 20th of September, 1882, Mr. Berry was married in Johnson county, Missouri, to Miss Laurana J. Byers, who was born in Ohio, August 13, 1862. Her parents, Joseph and Mary C. (Lynn) Byers, were born, reared and married in Ohio, from which state they removed to Michigan, remaining there until the close of the Civil war, when they removed to Johnson county, Missouri where they still reside. They had three children of whom Mrs. Berry was the oldest; Sally is the wife of Marion Herring, of Henry county, Missouri; and Frank, who is also married and lives in the same county. After his marriage Mr. Berry rented one hundred and twenty acres of his father's land, which he operated until March, 1887, when he removed to Henry county, Missouri and engaged in farming there until the following fall. There his wife died September 25, 1887, and her remains were brought back and interred in Campbell cemetery, Bertram, Iowa. She left four children namely: Cordelia E., born September 1, 1883; Gertrude N., born December 26, 1884; Jennie A., born May 4, 1886; and Charles R., born August 8, 1887. On the 1st of October, 1887, Mr. Berry returned to this county, and was in the employ of the Chicago & Northwestern Railroad company, until July 1, 1888. Since then he has resided upon the farm which he now occupies, it consisting of one hundred and eighty acres on section 28, Bertram township, and in its cultivation he has met with excellent success. He has made many improvements upon the place, including the erection of an elegant frame residence in modern style of architecture, and also large barns and cattle sheds. He intends making a specialty of the raising of Hereford cattle, of which he has a good herd, and he also raises a high grade of hogs for market. Mr. Berry was again married in Ringgold county, Iowa, April 1, 1889, his second union being with Miss Sarah C. Morrison, who was born in Sangamon county, Illinois, December 25, 1885. They have one child, Osmond R., born January 23, 1890. Mrs. Berry's parents were John and Amanda (Shafer) Morrison, natives of Ohio, from which state they removed to Illinois after their marriage. There the father died April 9, 1873, and in 1876 the mother moved to Iowa with her family, locating in Ringgold county. Their children were as follows: Martha married J. T. Ingles, who lives near Springfield, Illinois, and she died in 1882; Nellie, deceased, was the wife of Edward Russell, a resident of Grouse, Oregon; Sarah C., wife of our subject, is next in the order of birth; Henry, deceased, married Julia Galaway, who lives near Denver, Colorado; Luella is the wife of Henry Breckenridge, of Ringgold county, Iowa; John, also a resident of Ringgold county, first married Nettie Scott and after her death wedded Hannah Claugh; Angeline died at the age of twenty years; Nancy is the wife of John Atwood, of North Ontario, California; William is a stock dealer, of Casper, South Dakota; Gussie is the wife of Frank Preston, of North Ontario, California; and Katie resides with her mother in Ringgold county, Iowa. Mr. Berry attends the Methodist church, and is a member of Bertram Lodge, No. 534, I.O.O.F. In politics he is a Democrat, and was elected as clerk of Bertram township, at the fall election in 1900. He is one of the up to date and progressive farmers of Berlin township, as well as one of the highly esteemed citizens of the community. Source: Biographical Record of Linn County, Iowa. Chicago: The S. J. Clarke Publishing Company, 1901. p.532-533. For over half a century Bertram township had no more influential or prosperous citizen than the gentleman whose name introduces this review. He was born in Ohio, July 4, 1828, and is a son of Samuel and Mary (Emmons) Berry, the former born in New York, May 1, 1784, of Irish descent, the latter in New Jersey, November 15, 1782, of English extraction. After their marriage they removed to Ohio, where the father followed farming until his death. In 1851 the mother came to Iowa, and died at the home of our subject, August 5, 1860. They were the parents of eleven children whose names and dates of birth were as follows: Davis, August 26, 1807; William, March 10, 1810; Johanna, July 12, 1812; John, June 14, 1814; James, June 18, 1817; Sarah, August 15, 1819; Mary and Amy, twins, November 9, 1822; Samuel, September 24, 1825; Robert, July 4, 1828; and Nellie. Mr. Berry's early educational advantages were meager, but the knowledge he acquired in the district schools has been supplemented by practical information acquired in later years. He grew to manhood upon his father's farm and obtained an excellent knowledge of all the duties which fall to the lot of the agriculturist. On leaving the old homestead he commenced farming upon rented land in Ohio, and later engaged in railroad contracting. Coming to Linn county, Iowa, in 1851, Mr. Berry purchased one hundred and sixty acres of land on section 27, Bertram township, where he continued to make his home till the spring of 1901, when he rented his place and removed to Cedar Rapids. In his farming operations he has steadily prospered, and has added to his landed possessions until he now owns nearly one thousand acres of valuable land. He has placed his land under excellent cultivation and erected thereon good and substantial buildings, until he now has one of the best improved and most desirable farms in the county. He has always given considerable attention to the raising of stock for the market and has also met with success in this undertaking. On the 25th of April, 1854, in this county, Mr. Berry was united in marriage with Miss Nancy Thorington, who was born near Crawfordsville, Montgomery county, Indiana, July 4, 1834, and is a daughter of Alexander and Martha (Webb) Thorington, natives of Maryland. Her parents removed from that state to Ohio, and from there to Montgomery county, Indiana, and in 1853 came to Linn county, Iowa, spending the remainder of their lives in Bertram township. Unto Mr. and Mrs. Berry were born the following children: Walter H., born April 29, 1856, and Charles E., born February 27, 1859, are both represented elsewhere in this work; Jennie E., born April 11, 1861, the wife of William H. Harrison, whose sketch also appears on another page of this volume; Addison A., born June 22, 1863, married Ella Hunter and makes his home in Mt. Vernon (a sketch of him will be found on another page of this work); Robert O., born May 14, 1865, married Rachel Cory, and lives on a farm in Marion township; William Jasper, born January 28, 1868, married Bertie H. Hutchinson and lives on a farm in Bertram township; John Frederick, born June 26, 1872, married Ida McCloud, and resides in Cedar Rapids; and one died in infancy. In politics Mr. Berry is independent, supporting the men whom he believes best qualified for office, regardless of party affiliations. He has served as township trustee and school treasurer, and has always been found true to every trust reposed in him whether public or private. He and his wife are active and consistent members of the Methodist Episcopal church, and are held in the highest regard by all who know them. Source: Biographical Record of Linn County, Iowa. Chicago: The S. J. Clarke Publishing Company, 1901. p.878-879. This energetic and enterprising agriculturist, residing on section 21, Bertram township, was born in this county, April 29, 1856, and is a son of Robert Berry, whose sketch appears on another page of this volume. Reared on his father's farm, he was educated in the district schools of the neighborhood, which he attended during the winter months, while through the summer season he aided in the labors of the fields. On the 28th of April, 1880 in Bertram township, Mr. Berry was united in marriage with Miss Almeda Harrison, who was born in Mt. Vernon, this county, January 3, 1857, and is a daughter of Jacob and Ardelia (Look) Harrison, natives of New Jersey and New York, respectively. An extended sketch of the Harrison family will be found in the biography of W. H. Harrison on another page of this work. Mrs. Berry is the oldest in a family of five children the others being William H., just mentioned; Mary, wife of Frank Brown, who lives north of Bertram; Jacob, who married Hannah Berry and resides in the west; and Lucinda, wife of Frank Thompson, a farmer of Marion township, this county. Mr. and Mrs. Berry have five children; Ardelia, born March 6, 1881, completed her education in Marion and is now at home with her parents. Thomas, born August 16, 1882, assists his father with the farm work. In addition to attending the Marion high school, he also took a course in the Cedar Rapids Business College. William, born September 26, 1885, Almeda, born March 4, 1887, and Mary, born December 19, 1894, are all attending school. After his marriage Mr. Berry operated a rented farm for three years and at the end of that time removed to his present place on section 21, Bertram township, where he has made many improvements, though his fine residence and commodious barn were built by his father. To the original tract our subject has added one hundred and seventy-five acres of land. He gives considerable attention to the breeding of a high grade of cattle, making a specialty of the short horn breed, and also raises horses and hogs for market. He is a very progressive and practical farmer and as he thoroughly understands his chosen vocation in all its various departments, he has met with remarkable success. He and his family attend the Methodist Episcopal church, and he is a supporter of the Democratic party and its principles. Source: Biographical Record of Linn County, Iowa. Chicago: The S. J. Clarke Publishing Company, 1901. p.977-978. 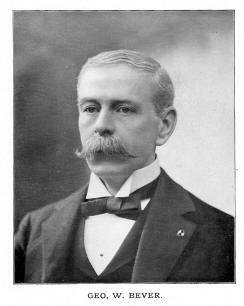 JOSEPH G. BERTRAND, D. O. This gentleman has gained a wide reputation throughout Iowa as a successful osteopath, and is now enjoying a large and lucrative practice at Cedar Rapids, where he located on the 1st of October, 1900. He was born in Saratoga, New York, on the 12th of December, 1862, a son of John and Frances Amanda (Deyo) Bertrand, also natives of the Empire state, while the former was of French and the latter of German extraction. The Doctor’s paternal grandfather came to this country from France, where he had served as a general in Napoleon’s army. By trade the father of our subject was a carpenter, but spent his last years in retirement from active labor. He was born in 1815, and died in March, 1898, and his wife, who was born in 1832, departed this life on the 29th of December, 1862. The Doctor is the youngest of their three children, the others being Fanny, wife of William I. Scidmore, of East Line, Saratoga county, New York; and Edward, who removed to Princeton, Minnesota, in 1883, and died there ten years later. The common schools of New York afforded Dr. Bertrand his early educational privileges. He grew to manhood under the parental roof, and for a number of years was variously employed. In September, 1884, he went to Minneapolis, Minnesota, where he engaged in clerking in a grocery store for two years, and then entered the United States mail service as a letter carrier, in which capacity he served for thirteen years. During that time he took a business course and fitted himself for his chosen profession. For two years he was a student at the Minnesota Institute of Osteopathy, where he graduated in 1899. For eight months he was engaged in practice at Decorah, Iowa, and then came to Cedar Rapids through the influence of some friends he had treated at Decorah. Here he has already built up a large practice, which is constantly increasing. He makes a specialty of chronic and acute diseases, but treats all cases, and has been wonderfully successful, having established for himself and enviable reputation in his chosen calling. At Minneapolis, in 1887, Dr. Bertrand was united in marriage with Miss Nettie A. Tanner, who was born in Minnesota in 1866, and they have become the parents of three children, Floyd S., Warren W., and Ora A., now attending the public schools of Cedar Rapids. In his political views the Doctor is a Republican. Socially he is a member of Cedar Lodge, No. 1, Legion of Honor, and religiously is an active member of the Episcopal church. Source: The Biographical Record of Linn County Iowa, Illustrated, Chicago: The S. J. Clarke Publishing Company, 1901, pages 130-133. Among the representative business men of Cedar Rapids is George W. Bever, who is a true type of Western progress and enterprise. Since attaining to man's estate, he has been prominently identified with the banking interests of the city , and as a public spirited citizen he has given liberal support to all enterprises which he believed would prove of public benefit. Mr. Bever was born in Coshocton, Ohio, in 1842, and was a lad of ten years when he came to Iowa with the family. He attended school in Cedar Rapids, and later he attended Kenyon College in Ohio, where his education was completed. During the war of the Rebellion, he served as a second lieutenant in Company E, Forty-Sixth Iowa Volunteer Infantry, and is now a member of the Iowa Loyal Legion. On the termination of the war, Mr. Bever became actively connected with the City National Bank of Cedar Rapids, of which his father, S. C. Bever, was president; his brother James L. cashier, and another brother, John B., assistant cashier. Mr. Bever was afterward elected vice-president, and filled that position for twenty years. He is now president of the American Trust & Savings Bank, ad a director of the Citizens National Bank. He has also been connected with a number of different business enterprises which have materially advanced the welfare of the city, and was actively identified with the building of the Auditorium and the Masonic Temple of Cedar Rapids. Mr. Bever married Miss Ada E. Taylor, of Marysville, Ohio, and their home is conspicuous in the social life of Cedar Rapids. They are members of the Episcopal church, and in politics Mr. Bever is a Republican. He is a thirty-third-degree Mason, and has always taken an active interest in the work of that order. He is past commander of the Apollo Commandery, and past potentate of El Kahir Temple of the Mystic Shrine, both of Cedar Rapids, and past grand commander of the Knights Templar of Iowa. He is also a prominent member of the Benevolent Protective Order of Elks. Upon the declaration of war with Spain, he raised a company of Light Artillery, of which he was commissioned captain, and which was mustered into the United States service as the Fifth Iowa Battery but the war being of short duration, the battery was mustered out without being in active service. His loyalty as a citizen and his devotion to his country's interest have been among his marked characteristics, while all worthy objects for the good of the community in which he lives have received his heart support. He is honored and esteemed by all who have the pleasure of his acquaintance, or who have met him in a social or business way. Source: Biographical Record of Linn County, Iowa. Chicago: The S. J. Clarke Publishing Company, 1901, p. 56-59. Few men are more prominent or more widely known in the enterprising city of Cedar Rapids than James. L. Bever. He is an important factor in business and financial circles, and the high esteem in which he is held is well deserved. He is public-spirited, and thoroughly interested in whatever tends to promote the moral, intellectual and material welfare of the city where almost his entire life has been passed. On coming to Cedar Rapids, Mr. Bever continued his education under the direction of Rev. Williston Jones, who established a private school for boys, which has since developed into the prosperous institution known as Coe College. Later he returned to Ohio and entered Kenyon College, where he was a student for two years. On his return to Cedar Rapids, he became connected with the banking house of Green, Merritt & Company, as clerk, and subsequently was appointed cashier. In 1859 he and his father established a private bank under the name of S. C. Bever & Son, which in 1864 was re-organized as the City National Bank of Cedar Rapids, with S. C. Bever as president, and James L. Bever as cashier. On the death of his father in 1892, Mr. Bever succeeded to the presidency. In 1898 the bank re-organized as the Citizens National Bank. He was interested in and was one of the incorporators of the Cedar Rapids Water Company, of which he was vice-president for a number of years; he was also vice-president of the Electric Light & Power Company. He was one of the incorporators and directors of the Cedar Rapids Savings Bank, but sold his interest in thee enterprises as there was too much responsibility resting upon him. At present he is a director of the American Trust & Savings Bank, president of the Bever Land Company, and the success of these several financial concerns attest his eminent and pronounced ability as a financier. In the counting room he is resolute, possessing a firmness and decision of character, and the safe conservative policy he has inaugurated commends itself to the judgment of all. Mr. Bever married Miss Lavinia Rathbone Sillman, of Rochester, New York. Four children have been born to them - Mary, wife of Ernest H. Norris, president of the Norris & Loring Hardware Company, of Cedar Rapids; Louis Rathbone, who is engaged in mining in the Black Hills, South Dakota; James Lorenzo, Jr., teller in the Citizens National Bank; and Pauline, aged eleven. Fraternally Mr. Bever is a thirty-second-degree Mason, and for twenty years has been treasurer of Apollo Commandery, and was also treasurer of the Mystic Shrine until 1900. In his political affiliations, he is a Republican, but has never cared for political honors. He is a prominent member of Grace Episcopal church, where he succeeded his father as senior warden. He is treasurer and one of the trustees of the Iowa Episcopate fund. A genial polished gentleman of unswerving honesty and fidelity, Mr. Bever commands the highest respect and admiration of all who know him, both in business and social circles. Source: Biographical Record of Linn County, Iowa. Chicago: The S. J. Clarke Publishing Company, 1901, p. 46-50.
among the active businessmen of Cedar Rapids is John B. Bever, vice-president of the Bever Land Company, and stockholder and director in the Citizens National Bank of Cedar Rapids, and of the American Trust and Savings Bank of the same City. He is native of the city, born on the 15th of September, 1852, and a son of Sampson C. Bever, who is represented on another page of this volume [see bio below]. In the public schools of Cedar Rapids Mr. Bever obtained his primary education. He later attended private institutions of learning in the same city, and for three years was a student in Griswold College, Davenport, Iowa. Leaving college, he commenced his business career as a messenger in the City National Bank of Cedar Rapids, and after serving in various positions in the bank, was made cashier, and as such served until 1898. Not only the directors and stockholders of the bank, but the general public reposed in him entire confidence, and much of the popularity of the bank was attributed to him. He still retains an interest in the bank and is one of its directors. On the organization of the Bever Land Company in 1891, he became identified with its interests, and in 1892, on the death of S. C. Bever, who served as president of the company, James L. Bever became president, and our subject was made vice-president, which position he still holds. On retiring from the position of cashier of the City National bank, he assumed active work in the Bever Land Company, and to the advancement of hits interests gives the greater part of his time. One of the original stockholders and organizers of the American Trust & Savings Bank of Cedar Rapids, he has served as one of its directors from its inception to the present time. On the 12th of May, 1886, Mr. Bever was united in marriage with Miss Carlotte Morton, a native of New York, and a daughter of John Morton, who died when she was a small child. With his wife, he holds membership in the Episcopal church, and in the social circles of the city they occupy a prominent position and are highly esteemed. Soon after reaching his majority, Mr. Bever was made a Mason in Mt. Hermon Lodge, No. 263, A. F. & A. M., and has steadily worked his way upward, taking each degree in the order. He is a member of Trowel Chapter, No. 49, R. A. M.; Apollo Commandery, No. 26, K. T.; and of Iowa Consistory, No. 2. He is also a member of El Kaher temple, Mystic Shrine. Well posted in the workings of the order, he takes great interest in its principles. The Protective Order of Elks also numbers him among its members. Politically he is identified with the Republican party. Public spirited and enterprising, Mr. Bever has done much for his native city and county, and is deservedly popular among all classes of its citizens. Since attaining his majority, he ha been associated with his brothers, James L. and George W., in various enterprises, and the fact that they have worked harmoniously in the conduct of their business affairs is something that is very unusual among men with such large interests. Source: Biographical Record of Linn County, Iowa. Chicago: The S. J. Clarke Publishing Company, 1901, p. 66-69. Cedar Rapids has been the home and scene of labor of many men who have not only led lives that should serve as an example to those who come after them, but have also been of important service to the city and state through various avenues of usefulness. Among them must be named Sampson C. Bever, who passed away August 22, 1892, after a life of industry, rich in those rare possessions which only a high character can give. He was born in Columbiana county, Ohio, July 13, 1808; he was a son of James and ______ (Imbrie) Bever. His paternal grandfather was Sampson Bever, a native of Germany, who lived for a time in Ireland; in 1777 he emigrated to America. He took part in the Revolutionary war, and on the cessation of hostilities located in Fayette county, Pennsylvania; his last years were spent in Washington county, Pennsylvania. His maternal grandfather was James Imbrie, who was born in Scotland, coming to this country in 1780, settled in Washington county, Pennsylvania, where his death occurred. In the spring of 1809 during the infancy of our subject his father, James Bever, removed to what is now Holmes county, Ohio, locating on a tract of wild land which his brother John had surveyed for the government and selected for him. It was the first entry made in the so-called "new purchase." He arrived at his destination by following an Indian trail and using pack horses for transportation. The new home of the family was at Oldtown on Salt creek, near the junction of that stream with the Killbuck river, the town having been vacated and burned by the Indians. The nearest cabin to their home was thirteen miles distant, it being the headquarters of the surveying party of which Mr. Bever's brother was at the head. That gentleman subsequently laid out the now flourishing town of Wooster, Wayne county, Ohio. The hardships of frontier life were too severe for the father of our subject, and he died April 22, 1811, in the little cabin he had built two years before, leaving a widow and two little boys in the midst of the wilderness. The following year, when the second war with England was declared, the Indians became troublesome, and this little family, with others in that locality, spent most of the time in a block-house, not daring to leave until the Indian depredations were over. Sampson C. Bever had no opportunity to attend school until nine years of age, after which he pursued his studies in the subscription schools for about three months during the winter for a few years. He had previously learned to read and write, however, under his mother's direction. She was married again to a man who had several children, and our subject helped his step-father to clear and improve the home farm, occasionally working as a day laborer to procure the means to purchase clothes and pay his tuition at school. As the new family relations did not prove the most pleasant, he left home at the age of fourteen years and spent a few months with his mother's brother in Beaver county, Pennsylvania. Before he attained the age of fifteen years he walked one hundred and fifty miles to Brownsville, that state, where he clerked in a store for five years at four dollars per month. Mr. Bever always declared that this was the most important period of his life, as he was called upon to assume grave responsibilities, and be always proved competent and trustworthy. At the age of twenty he took charge of the Albany Glass Works near Brownsville, receiving one hundred and fifty dollars a year. He soon made arrangements to buy out the business of his employers at that place, including their store, stock of goods and glass works, and in partnership with William Eberhart, an experienced glassblower, business was carried on under the firm name of S. C. Bever & Company for two years during which time the prospered, and were not only able to pay off all indebtedness, but had a surplus left. When Mr. Eberhart withdrew from the firm Mr. Bever formed a partnership with George B. Woltz, who died three years later. Feeling sure that a panic would follow President Jackson's war with the United States bank, our subject sold out his business just in time to avoid the crash. In the autumn of 1836 Mr. Bever formed a partnership with Goodlow H. Bowman, one of his former employers, and they started a mercantile establishment at Coshocton, Ohio, where business was carried on under the firm name of Bever & Bowman for ten years. He next removed to Millersburg, now in Holmes county, Ohio, where he continued to engage in merchandising for six years. This was near the old home where his father had died many years before. Later he had his father's remains removed to Cedar Rapids. Mr. Bever built a beautiful residence in Millersburg, but on determining to come west sold it. After traveling over several of the states in the Mississippi valley he decided to locate in Cedar Rapids, to which place he removed his family in 1852, the journey being made by way of the Ohio and Mississippi rivers to Muscatine, Iowa, and thence by private conveyance, arriving here on the 4th of April. Mr. Bever had previously purchased six hundred acres of land, now within the corporate limits of Cedar Rapids, with the object of making farms for himself and sons, and he put two or three hundred acres under cultivation. In a few months, however, he became dissatisfied with farming and returned to his old pursuit, that of merchandising, which he carried on here until 1859. During the last five years of his mercantile life he was also identified with the construction of the Chicago, Iowa & Northwestern Railroad, now a part of the Chicago & Northwestern system, which was the first road to cross Iowa. In 1859, when the road reached Cedar Rapids, Mr. Bever started a private bank, the oldest monetary institution in the city, forming a partnership with his son, James L., under the firm name of S. C. Bever & Son. This venture proved a success, and after the passage by congress of the National Banking Law the bank was reorganized as the City National Bank of Cedar Rapids, with a capital of one hundred thousand dollars. For many years, and up to the time of the death of our subject, the officers of the bank were S. C. Bever, president; George W. Bever, vice-president; James L. Bever, cashier; and John B. Bever, assistant cashier, the last three being sons of our subject. At a meeting of the American Bankers Association in Philadelphia in 1876 he was chosen one of its vice-presidents. On the 8th of August, 1833, Mr. Bever was united in marriage with Miss Mary Blythe, of Fayette county, Pennsylvania who died June 14, 1885, having for nearly fifty-two years been a true helpmate to her husband, sharing with him the joys and sorrows, the adversity and prosperity of life. Unto them were born nine children, five of whom are still living, namely: James L. , George W. and John B. [see bios above], and two daughters. For many years Mr. Bever was closely identified with the growth and prosperity of Grace Episcopal church of Cedar Rapids, to which he made many generous donations. In 1861 he was elected senior warden, and held that office until his death, when his son James L. was elected to succeed him. 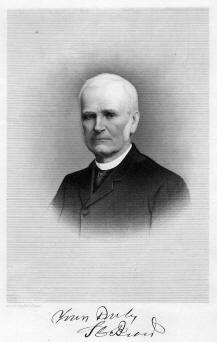 When the primary convention was held in 1853 for the purpose of organizing the Episcopal churches of Iowa into an independent diocese Mr. Bever was present, and was made provisional secretary of the diocese, and for years he represented the diocese in the general convention, being absent only once, in 1877, up to the time of his death in 1892. In 1889 ill health prevented him from taking an active part in the proceedings. The following year Griswold College of Davenport, Iowa, conferred on him the degree of LL. D. His well-known liberality went far toward the erection of St. Luke's hospital of this city. As previously state, Mr. Bever died August 22, 1892, at the advanced age of eighty-four years, and his death was most sincerely mourned by a host of friends as well as by the general public. He was a man of extraordinary business sagacity and acumen, his judgment seemed unerring, and every enterprise which enlisted his personal attention and encouragement succeeded. During a long life of commercial and financial success he accumulated great wealth, but he always gave liberally to various charitable enterprises and deserving institutions. He not only contributed to the support of the Episcopal church, but gave to other denominations as well, but he was so unostentatious in his giving that many of this deeds of benevolence were known only to himself and the recipient. During his residence in Cedar Rapids, he was probably the most conspicuous figure in the business and commercial life of the city, and his death was a great loss to the entire community. "Mr. Bever's character, as it was manifested to his associates of the vestry, was remarkable for its simplicity; he had great earnestness and concentration of purpose; in planning, he was deliberate and wise; in execution, deliberate, but forcible. His wisdom had been largely gained from observation and experience, but not a little from reading and study. He strove diligently to perform his every duty. As vestrymen, we feel Mr. Bever's death as a personal loss. He was one at whose home it was often our privilege to meet; he was on from whom we could receive advice with pleasure and profit. We always turned to him when in conduct of parish affairs we most needed wise counsel or financial aid, confident of his willingness and ability to furnish both. He was a good man, a true friend, a loyal citizen, but we best speak that we do know, and testify to what we have seen, when we record that his church life was worthy to become an enduring example of faith and faithfulness." Source: Biographical Record of Linn County, Iowa. Chicago: The S. J. Clarke Publishing Company, 1901, p. 36-41. Sampson C. Bever was born in Columbiana county, Ohio, in the year 1808. His paternal grandfather was a native of Germany, but emigrated to this country in the year 1777, joined the Revolutionary Army, as a private at Morristown, New Jersey, under General Washington. His maternal grandfather was a native of Scotland and emigrated to America during the Revolutionary War, locating in Washington County, Pennsylvania. His father, James Bever was a small farmer on the banks of the Ohio River, at the time of Sampson’s birth, but in 1809 he moved west to the “New Purchase,” in what is now known as Holmes county, Ohio, where he died in 1811. Sampson never saw the inside of a school-house until he was nine years of age. When fifteen years of age he left home and went to Brownsville, Pennsylvania, going the entire distance, one hundred and fifty miles, on foot, where he engaged in a store for five years. At the expiration of this time he engaged to take charge of the Glass Works of Bowman, Sweetzer & Bowman, one mile from Brownsville. He shortly afterwards bought out the firms interest, they giving all the time he wanted to pay them. He however by hard work, perseverance and energy, at the end of two years paid off all his indebtedness to them, and had a good profit. On the 8th day of August, 1833, Mr. Bever was married to Miss Mary Blythe, daughter of John Blythe, Esquire, a farmer near Cookstown, Pennsylvania. At this time being convinced that the war carried on between Andrew Jackson and the United States Bank must bring about a financial crisis, sold out his glass works. In the Fall of 1836, he formed a co-partnership with G. H. Bowman, one of his old employees, and engaged in merchandising in Coshocton, Ohio, where he remained for ten years. Closing up the partnership business, he removed to Millersburg, where he again engaged in merchandise successfully for six years. Having sold out all his possessions there, on the 1st of April, 1851, he started in his own private conveyance in search of a new home in the West. After wandering over several Western States he selected Cedar Rapids, Linn County, Iowa, as his resting place. Here he bought several large tracts of land in the vicinity of the won, and returning to Ohio, removed with his family on the 1st of March 1852, to his new possessions. In the Fall of the same year he again embarked in the mercantile business in Cedar Rapids, in which he continued for seven years. During this time he became identified with the construction of the Chicago, Iowa & Nebraska Railroad, the first successful railroad enterprise in Iowa, and with which he is still identified as a director. In 1859 he disposed of his merchandise, and engaged in private banking with his oldest son, James L. Bever, under the firm name of S. C. Bever & Son. On the passage of the National Banking Law the bank of S. C. Bever & Son was merged into the City national Bank of Cedar Rapids. Mr. Bever has made many valuable contributions to the permanent growth and prosperity of Cedar Rapids, and is now enjoying the fruits of a long life of business activity and solid prosperity, blessed with a green old age, the companionship of the wife of his youth, and surrounded by his sons, daughters and grandchildren. His life has been a busy but successful one. Gifford C. Bice, the owner of a fine farm of two hundred and eighty acres in Grant township, devotes his time and energies to that branch of activity which George Washington designated as “the most useful as well as the most honorable occupation of man.” His birth occurred in Spring Grove township, Linn county, Iowa, on the 3d of August, 1870, his parents being Isaac and Mary C. (Brannaman) Bice, who are natives of Pennsylvania and Cedar county, Iowa, respectively. They now reside on a farm in this county and are well known and highly esteemed throughout the community. Unto them were born nine children, eight of whom still survive. 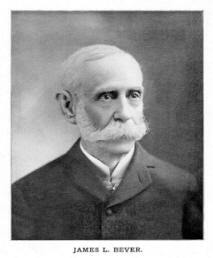 G. C. Bice was educated in the common schools and remained under the parental roof until he had attained his majority. He then devoted his attention to the operation of a rented farm for nine years and in 1900 bought his present place of two hundred and eighty acres on sections 7, 8, 16 and 17, Grant township, where he has carried on his agricultural interests continuously since. Progressive in his ideas, he has made a careful study of the subject of crop rotation and the means of increasing or of preserving the productiveness of the fields. He also makes a specialty of raising stock of all kinds and this branch of his business adds materially to his income. On the 3d of December, 1895, Mr. Bice was joined in wedlock to Miss Mary Gilchrist, who was born in Grant township on the 29th of May, 1873, her parents being Martin and Sarah (Leonard) Gilchrist. Her father was born in Canada but was only two years of age when the family removed to Illinois. He passed away on the 5th of April, 1897. Her mother, who is a native of New Jersey, still survives and resides on the old homestead. Mrs. Bice, who is one of a family of five children, is a graduate of the Tilford Academy of Vinton, Iowa, and taught school for several years prior to her marriage. She is now the mother of four children, namely: Martin I., Walter E., Ethel B. and Ernestine E.
Mr. Bice is a stanch adherent and supporter of the principles of the republican party and is now serving in the capacity of assessor, having held that office for six years. For four years he has also ably discharged the duties devolving upon him as township clerk. Fraternally he is identified with the Masons and has filled some of the chairs in lodge No. 500 at Walker. Both he and his wife attend the Methodist Episcopal church and exemplify its teachings in their daily lives. They are highly esteemed throughout the county in which they have always resided, having ever displayed those sterling traits of character which in every land and clime awaken confidence and regard. Source: History of Linn County Iowa, From Its Earliest Settlement to the Present Time, Vol. II, Chicago, The Pioneer Publishing Company, 1911, p. 43-4. William A. Black, whose demise occurred on the 11th of February, 1904, came to this state after the close of the Civil war and continued to reside in Linn county until called to his final rest. He worked at both carpentering and farming and became the owner of three valuable and well improved farms, from which he derived a gratifying annual income. His birth occurred in Huntingdon county, Pennsylvania, his parents being John and Susan (Hoffman) Black. The father, who was an agriculturist by occupation, died of typhoid fever in comparatively early manhood. Mr. Black of this review followed farming and carpentering until the outbreak of hostilities between the north and south, when he enlisted in defense of the Union as a private of Company E, Twenty-first Pennsylvania Cavalry, with which he served for about three years. His colonel was a member of Grant’s staff and a very prominent officer of the Civil war. After the supremacy of the Union had been established Mr. Black came to Iowa and throughout the remainder of his life here devoted his attention to general agricultural pursuits, also working at his trade to some extent. Alert, enterprising and energetic, he won a gratifying measure of prosperity in his undertakings and eventually became the owner of three productive farms. Upright and honorable in all of his dealings, he gained the respect and esteem of those with whom business or social relations brought him in contact and was widely recognized as a substantial and representative citizen of his community. As a companion and helpmate on the journey of life Mr. Black chose Miss Margaret Brown, a daughter of Jesse and Clarissa (Catt) Brown. Her father, a farmer by occupation, came to this state from South Carolina, locating first in Benton county, where he owned two hundred and forty acres of land and became a prominent citizen. Mr. and Mrs. Black were the parents of four children, as follows: Clara, who gave her hand in marriage to Charles Richardson, of Glenburn, North Dakota; Jesse Samuel Ayres, who is married and has fourteen children; Harry A., residing in San Antonio, Texas; and Maud, who is deceased, as is also her husband, Elmer Jamison. Mr. and Mrs. Jamison had a daughter, Verona, who became the wife of Calvin Littlepage; by whom she has one child, Duane. Fraternally Mr. Black was identified with the Masons, while his religious faith was indicated by his membership in the Methodist Episcopal church. His widow now makes her home in Kenwood Park and has an extensive circle of friends throughout the community, her many excellent traits of heart and mind having endeared her to all who knew her. Source: History of Linn County Iowa From Its Earliest Settlement to the Present Time, Vol. II, Chicago, The pioneer Publishing Company, 1911, page 336. George C. Bliss dates his residence in Linn county from 1855, and for a third of a century he was actively identified with the business interests of Cedar Rapids, but is now practically living retired in his pleasant home at 1329 First avenue. He was born in Tioga county, Pennsylvania, January 9, 1841 and on the paternal side comes of an old English family, which was founded in America in 1635 by three brothers, Benjamin, George and Thomas Bliss, who were among the first settlers of Massachusetts. Of these our subject traces his ancestry back to Thomas. His grandfather, Stephen A. Bliss, was a native of Massachusetts, and a soldier of the war of 1812, and later moved to Pennsylvania. Wilson S. Bliss, the father of our subject, was born in Springfield, Massachusetts, January 1, 1813, and was there reared and educated. When a young man he went to Pennsylvania, where he wedded Miss Julia E. Whitman, a native of Elmira, New York, and a daughter of Jacob Whitman, who was born in Reading, Pennsylvania. They continued their residence in the Keystone state until after the birth of their three children, and in 1855 came to Linn county, Iowa, where Mr. Bliss had entered land the year previous. He was a mechanic, following the carpenter's and cabinetmaker's trades in the east, but on first coming to this county he turned his attention to agricultural pursuits. After residing upon his farm for about two years, however, he removed to Center Point, where he engaged in the manufacture of furniture, and also in contracting and building, spending his last years at that place, where he died January 20, 1880, at the age of sixty-seven. His wife survived him for some time and passed away January 16, 1894. Their children were George C., the subject of this review; Elizabeth, a resident of Cedar Point, who married Victor B. Gibson, a soldier of Company K, Ninth Iowa Infantry, and who married second Dr. John W. Megee and for a time lived in Moberly, Missouri, where he died in the fall of 1894; and Edgar F., a business man of Center Point. The first fourteen years of his life George C. Bliss passed in his native state, and acquired his primary education in the public schools. He then accompanied his parents on their removal to this state and remained at home until after the Civil War broke out. On the 30th of July, 1862, he enlisted in the Eighteenth Iowa Volunteer Infantry, but was soon transferred to Company B., Twentieth Regiment, which was assigned to the Western army. His first engagement was the battle of Prairie Grove, Arkansas, soon after which, at Fayetteville, Arkansas, he was captured, and held a prisoner there for a time, but was exchanged before the siege of Fort Morgan. At time of his capture he was detailed as commissary sergeant to a hospital, the patients of which were all captured, paroled and exchanged. After his exchange he rejoined his regiment at Mustang Island, Texas, and later took part in the siege of Fort Morgan and the charge on Fort Blakesly. At the close of the war he went to Mobile, Alabama, where he was honorably discharged, and mustered out at Clinton, Iowa, July 30, 1865. For about a month in 1862 he was ill in the hospital at Springfield, Missouri, before going to Fayetteville, Arkansas. After leaving the army Mr. Bliss returned to his home in Center Point, and on the 14th of December, 1866, embarked in merchandising in that place, opening a small grocery store. As his trade increased he enlarged his business, and later added to his stock dry goods, boots, shoes, clothing, etc. until he had a good general store, which he successfully conducted for thirty-five years. In 1896 he admitted his son, Willis O. Bliss, to a partnership in the business, the firm becoming G. C. Bliss & Son, he having been in the store for some years and therefore thoroughly familiar with the business. He is a well educated young man who completed a course in the Burlington Business College, 1895. In September, 1895, Mr. Bliss retired from active business, though still a member of the firm, and removed to Cedar Rapids, where he now makes his home, enjoying the competence secured in former years. At Center Point he was married, June 9, 1872, to Miss Frances Lucretia Bartleson, a native of Berkeley county, West Virginia, and a daughter of Squire Bartleson, who died in that state during the infancy of Mrs. Bliss. During her childhood she went to Missouri, and was reared and educated at St. Charles, that state. Three children have been born to our subject and his wife, namely: Arthur S., a physician, now in the south; W. O., who is still carrying on the business at Center Point; and George C., Jr., who holds a business position in Cedar Rapids. The Republican party has always found in Mr. Bliss a stanch supporter of its principles since he cast his first presidential ballot for Abraham Lincoln in 1864, but he has never sought official honors, though he served six years as a councilman at Center Point, and was president of the school board the same length of time, having always ________ interest in educational affairs and the welfare of his town and county. He holds membership in the Congregational church. For thirty years he has been a member of the Odd Fellows lodge at Center Point, in which he has filled all the chairs, is now past grand, and has represented the lodge in the grand lodge of the state. He is also a member of Denison Post, G. A. R., at Center Point, and has always been found a loyal and patriotic citiz3en, who is as true to his duties of citizenship in times of peace as in war. During his residence in Center Point he built two business houses and a number of residences at that place, and in other ways aided materially in the development and upbuilding of the town. Source: The Biographical Record of Linn County Iowa, Illustrated, Chicago: The S. J. Clarke Publishing Company, 1901, pages 12-14.